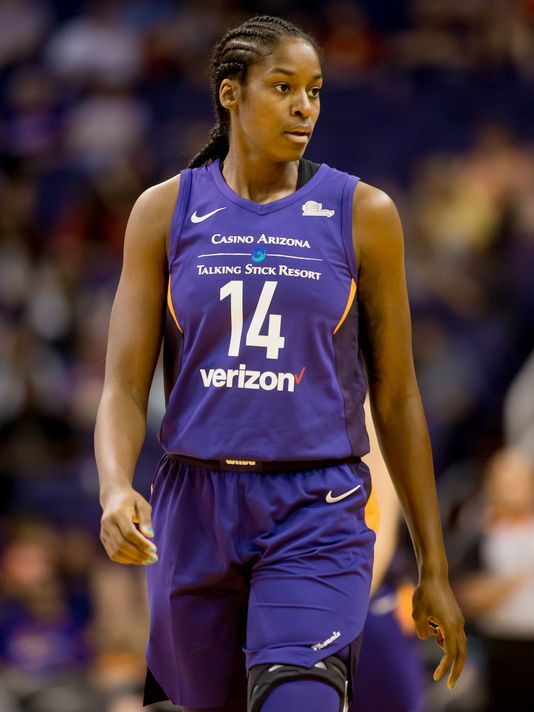 In search of a power forward to replace the injured Sancho Lyttle, the Phoenix Mercury signed Devereaux Peters with the hopes to salvage a season that once saw the team in first place. The Mercury won eight-consecutive games to begin June and 12 over a 14-game stretch, but beginning on July 8, Phoenix lost seven of eight, with the sole win coming over last-place Indiana. 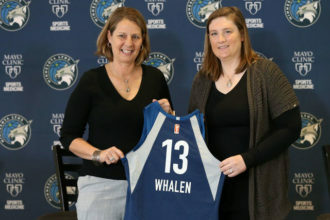 Peters, who the Minnesota Lynx selected third overall in 2012 from Notre Dame- and a two-time WNBA champion- was at home in Chicago when the Mercury called. 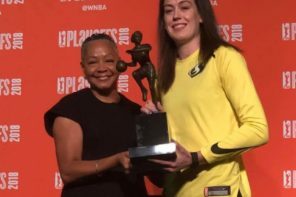 The 6-foot-2 Peters last appeared in the WNBA in 2016 with the Indiana Fever. Since then, she has battled injuries, in addition to playing professionally in Europe. 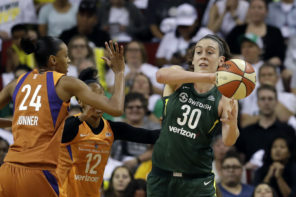 Peters said she has created controversy over the years on social media, sparking conversations of average-Joe men who think they could beat female WNBA players one on one. Peters continued that the likes of LeBron James would never challenge her with chauvinistic attitudes. Meanwhile, 6-foot-9 center Brittney Griner overheard the interview and chimed in. 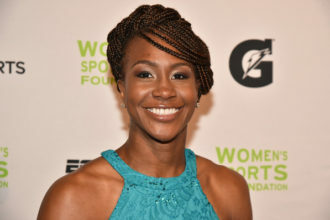 Peters, who lost to Griner’s Baylor team in the 2012 NCAA title game, also commented on the new video game feature that allows fans to create women’s players.